'Pi - The Game' is a game that tests your memory. How many pi digits can you memorize? 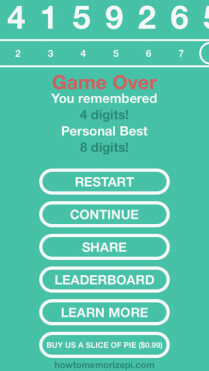 Pi – The Game is a game that tests your pi memory skills. How many digits of Pi can you memorize? 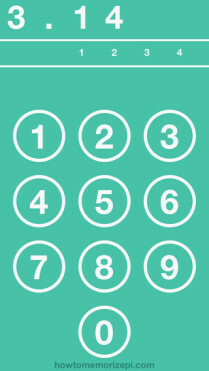 Visit howtomemorizepi.com to learn new techniques and methods to memorize more digits of pi and return to the app to test your newly acquired skills. How far can you go?